The Clarke HS20C Hole Saw 20 MM is a bi-metal hole saw with a bi-metal edge that is welded to an alloy steel base for heavy duty cutting. This Clarke Hole Saw allows users to cut safely and efficiently by clearing the way to cut large holes. 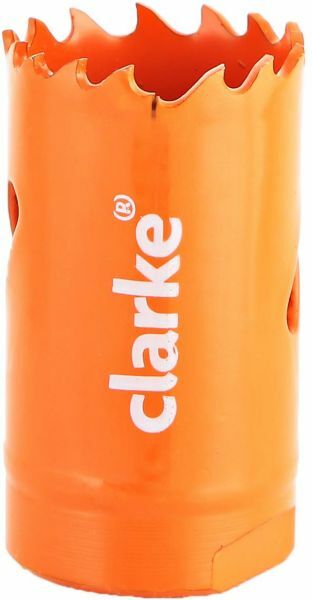 This Clarke Hole Saw can be used in portable electric or pneumatic tools, vertical drill machine, lathe, boring/milling machines, and other machine tools.